ShotgunZ71 had the most liked content! What is the projected price increase for the new ones? Anyone ordered one yet? If so, estimated production and delivery dates? GM Financial is offering 0% in some instances, even on the new T1 trucks. We took the 0% on the new TourX we purchased a couple weeks ago, also. One, it helps get to the vehicle equity if need be and Two, every extra dollar goes directly towards principal. I've found my 2017 F250 Platinum to be as quiet, if not more, than the 2015 Silverado 2500HD LTZ it replaced. Maybe the upper trims have more/better sound insulation, but it's definitely not louder under any circumstances so far. My panels fit well and look fine from all angles, so I can't relate to those issues, either. Ford also sells many more higher trim HD trucks, not just fleet. Many contractors, farmers, etc, not to mention people that tow campers and such. The trucks are family haulers as well. GM should have introduced both new gas engine options at the same time. They'd have been a step ahead of Ford and Ram, instead of playing catch-up. Any news on when the build and (maybe) price will be up? They have to start slapping before than can do it more. GM can't even come close to the HD sales of Ford. GM is the one getting slapped, no, beaten around for years. GM has had so much potential with their trucks, yet they skimped and skimped. I went Ford on my last truck due to the room and options. Now, GM had made the 2020s quite roomy, and that's a good thing. They've added some features and new powertrains and tech. However, they took stuff away and failed to add other stuff that's readily available on the competition and GM's own SUVs. I'm looking forward to checking out the new HD in person, but I'm keeping all options open. I've been wondering the same thing. A late spring/early summer for the CC models would be nice. The other configurations may be later in summer. 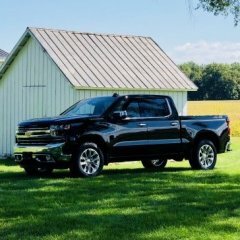 Someone in another thread said that GM has stopped production on all 2019 HD trucks and are doing an early changeover to the new models. I remember something else about 2019 being a short run, but can't find it. Can anyone confirm? 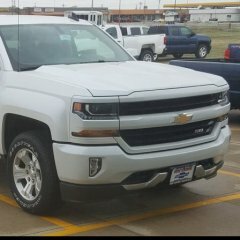 My 2014 was an LTZ with the 40/20/40 seat. Didn't mind it at all. Had plenty of storage when I needed it and an extra seat when I needed it. Does anyone have a 6.2 w/ Max Tow Package? Are these lights similar to the spot lights in the tow mirrors of my F250 and Silverado 2500HD? I have a button to turn each side on/off. They are on camper mirrors, so there may be some difference. They help light an area to the sideand rear of the truck. The new interiors with the contrasting colors look much better than the black interiors. I think it's mainly due to the lack of gray/silver trim around the center stack. Many were hoping for a return of rain sense wipers and adjustable pedals, also.